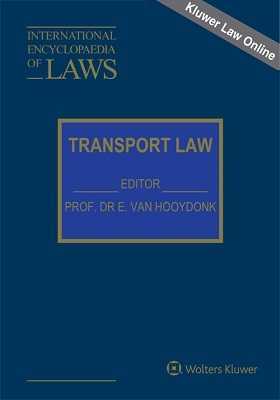 The national monographs in this subset of the International Encyclopaedia of Laws deal with transport law in its broadest sense: jurisdiction, state immunity, and the main sources of transport law. With reference to maritime law, the reader will find information on the legal status of the vessel, its acquisition, ownership and registration. Other topics discussed are maritime liens and mortgages, the position of master and crew, liability and limitation of liability (L.L.M.C. Convention 1976), charter parties and Transport under Bill of Lading (Hague-Visby Rules), transport by air (Warsaw Convention and related conventions), transport by rail (C.O.T.I.F. Convention) and inland navigation. A special chapter is devoted to Multimodal Transport. Finally, European Union competition law in the field of transport is discussed.